Typical alpine meadows and houses near Matrei illuminated by soft evening light. 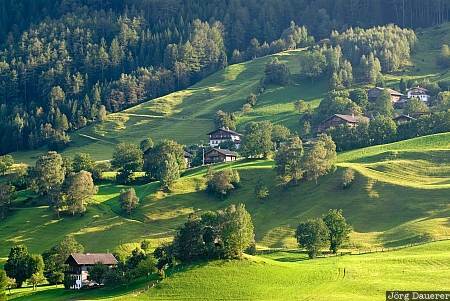 Matrei is in East Tyrol (Osttirol) in the state (Bundesland) of Tyrol (Tirol) in the western part of Austria. This photo was taken in the evening of a sunny day in September of 2008. This photo is part of the exhibition The color Green (February 2009). This photo is in the Photo Calendar "Alps". This photo was taken with a digital camera.